CLOSEOUTS. 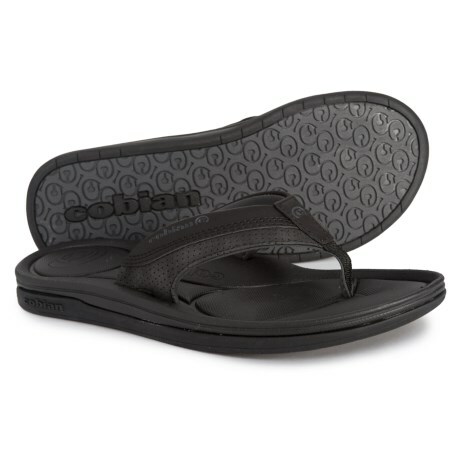 A summer staple for the beach, backyard barbecues and more, Cobianand#39;s Bolster Archy flip-flops are lightweight, comfortably cushioned and ruggedly handsome. Available Colors: BLACK, NAVY. Sizes: 8, 9, 10, 11, 12, 13.